Create a spa in your own home with ESPA, the brand of choice for luxury spas across the globe. Mother's Day is fast approaching, why not treat your mum to a luxury spa gift from ESPA? 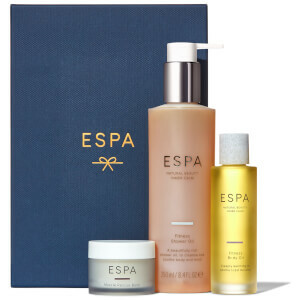 For SkinStore customers only, receive a FREE ESPA Bodycare Introductory Collection (worth $50) when you spend $100 on ESPA! Moisturize with the minerals of the Dead Sea with the world-renowned range from AHAVA. Shop the brand the Kardashians rave about! The perfect range for all those mamas-to-be. Evoke feelings of peace, pleasure and relaxation with the range from NEST fragrances! Mio Skincare promises strong, glowing skin whatever life throws at it! Here at SkinStore, some of our favorites include the Body Brush and Workout Wonder Invigorating Muscle Gel. Discover the incredible benefits of body brushing when you learn to do it from the comfort of your own home! If you’ve started to notice that your pearly whites aren’t quite as bright as they used to be, then follow these top tips for whiter teeth. Did you know that pampering your face for as little as 2 minutes a day can help slow the signs of aging? Let our range of body products inspire you to pamper yourself from top to toe, whilst looking after your body. With our extensive range of skin loving products, from moisturizers and bath oils, to firming creams and fake tans, there is a product for every concern and body part. With the correct bodycare products and regime in place, not only will you start to notice an improvement to your skin, but you'll notice the positive effect it has on your well being too. Give your body the moisturization it needs by choosing a rich all-over body moisturizer, enriched with softening and conditioning ingredients. When it comes to faking a subtle faux glow, opt for one of our luxury fake tans which can help you look healthier and feel more confident. For an invigorating cleanse, our selection of refreshing and uplifting shower creams and exfoliators deeply cleanse the skin to renew and smooth. With luxury products from some of the best brands - like Bliss, Molton Brown and Philosophy - your skin is sure to be in for a treat.